Just Wright or I <3 NBA? I watched Just Wright (out in 2010) and noticed quite a few product placement strategies. First off, let me explain the plot. (SPOILER ALERT!) The movie focuses on Leslie Wright, a 35 year-old physical therapy worker in New Jersey, and Scott McKnight, a NBA player for the New Jersey Nets. Leslie is a die hard fan, and her god-sister Morgan is trying to get famous by becoming a ball players wife. Ca ll it fate, but Leslie and Scott meet and he invites her to his birthday party. There, Scott meets Morgan (who fakes being a saint) and they fall in love. Leslie watches their love blossom and also Scott get injured while playing ball. Morgan requests that Leslie be Scott’s personal trainer, and then decides to leave Scott because he is a “dead end” in her quest for fame. Inevitably, Scott and Leslie fall in love and end up together on the NBA, Scott as a resigned player and Leslie as the new team physical trainer. This movie is a perfect combination of basketball movie and chick flick. A couple could go and both be completely satisfied because the basketball scenes intertwine perfectly with the romantic scenes. The movie appealed to real life love and loss as well as the action and glamor of a ball player’s life. I watched this movie and then wrote down the advertising I most remembered from the movie. I specifically remember Leslie’s father name dropping Home Depot, seeing an Exxon/Mobil gas station, and of course all the NBA and basketball player spots. The Izod Center and ESPN were also shown a lot in the movie, appealing to the basketball fans. Although ESPN and NBA aren’t necessarily a brand, they do cross produce their name into commodities like clothing and ticket sales. I have to wonder how the payments were handled for the movie. I think that because ESPN is a logo and company, the movie production team would have had to pay to use the logo. I can assume that basketball players got a salary for the movie, since they were crossing boundaries in fame (player become actor). Some of the basketball players with speaking roles were Dwayne Wade, Dwight Howard (who was shown a lot throughout the movie), and Andre Igodala. I think that the movie’s income was boosted by fans who specifically came to see the basketball aspect of the movie. I also wonder if the teams shown throughout the movie got paid for spots, or if the payment went directly to the NBA. Some of the teams shown were Orlando, New Jersey, and the Heat. Since Queen Latifah produced (and starred) in the movie, I can only guess that she got to pick what teams she wanted to have in the film. I decided to watch the movie again online with subtitles, which made it easier to spot the name drops and sponsors in English. ESPN and the NBA were referenced a lot more than I realized on the first watch. 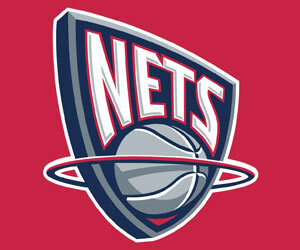 The Nets were mentioned by 5 minutes into the movie, and NBA game footage shortly followed. I assume that this was to reel in the basketball fans right away. There was a lot of name dropping throughout the movie. Obama was mentioned, as well as some of the music artists: Terence Blanchard, Coltrane, Joni Mitchell. I figure, if that person (or entity, if deceased) is going to get royalties, they might as well give them props too. Queen Latifah, who plays Leslie, also sings on the movie as well as plays a track for the end credits. Common, who plays Scott, also will get some royalties for his work on the songs featured in the movie. So, this movie was about role-crossing all over: singers turned actors and athletes turned actors. As the movie played out, there was more of a story about the lush lives of athletes. Soon there was more game footage and ESPN spots (Mike and Mike show, Stuart Scott) to re-spark the interest for the basketball fans. All together, there was around ten minutes of game footage in the 90 minute movie. That’s just the perfect amount, for me. I definitely think that this movie relied on the NBA’s cooperation, and both benefited from the spots. Fans came to the movie and the movie paid for the spots. People Magazine had a small spot in the movie (it didn’t show the name, I just recognized the style of the magazine). They probably got an exclusive interview for the premiere of the movie. As I said previously, this movie was a perfect combination of basketball and love story. Al though Queen Latifah probably had to shell out a lot to get ESPN and NBA to sign, she probably raked in as much cash in theatres as well. 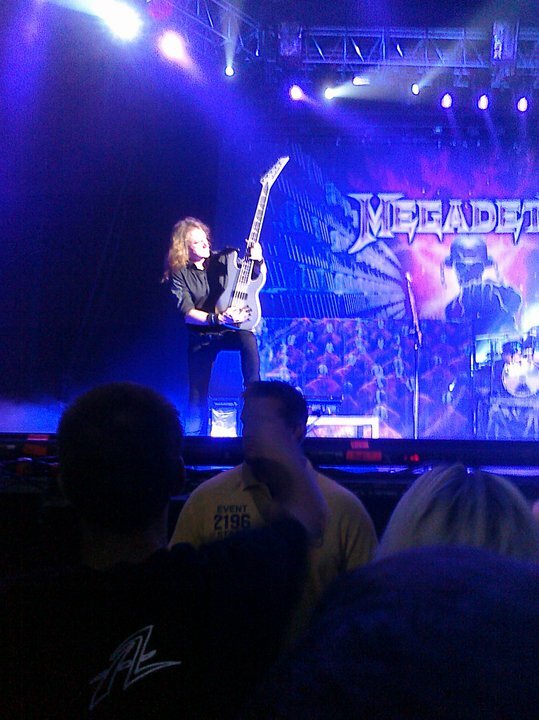 I attended a Megadeth concert with my friend Cher a few weeks ago. 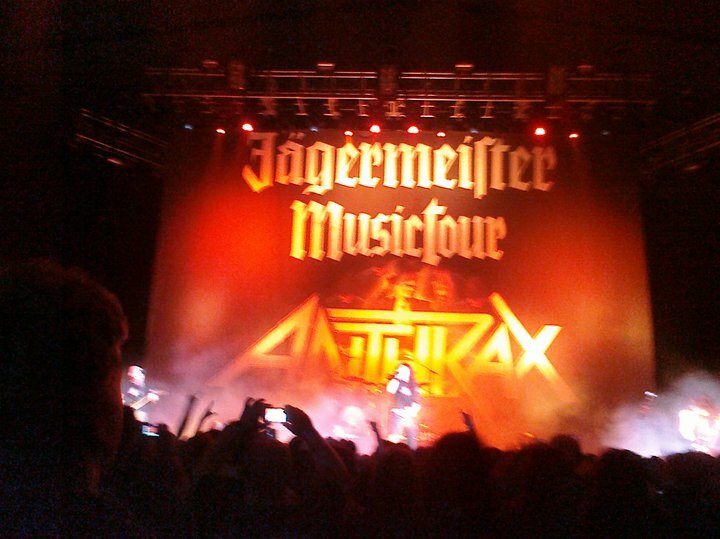 Slayer and Anthrax were also on the concert tour, which was labeled the Jagermeister tour. There were tons of security at the entrance checking our tickets and I.D. but as soon as we got to the concert floor level the main objective of the concert was clear: drinking. There were drink kiosks set up all over, specifically serving Jagermeister for the tour. I was amazed that it was like this because the concert was for all ages and there were not that many cops (that I saw) watching out for underage drinking. We got to the 1st Mariner Arena about an hour before Anthrax took the stage. There were already a few drunk people and plenty on their way there. It wasn’t until the bands started playing that the alcohol took its effects… Mosh pits started and the crowd started being pushed around by various violent moshers. Cher said she wanted to buy V.I.P. tickets, but they wouldn’t let her buy a single ticket (which was around $300, anyway). I’m sure that the V.I.P. lounge strongly encouraged drinking as well. Jagermeister was the clear winner of this tour. It benefited in every way from the concert. I saw wheelbarrows full of Jag bottles being carted to and from the drinking kiosks during the intermission and after the concert. It only enhanced the violent behaviors that went on at the show. 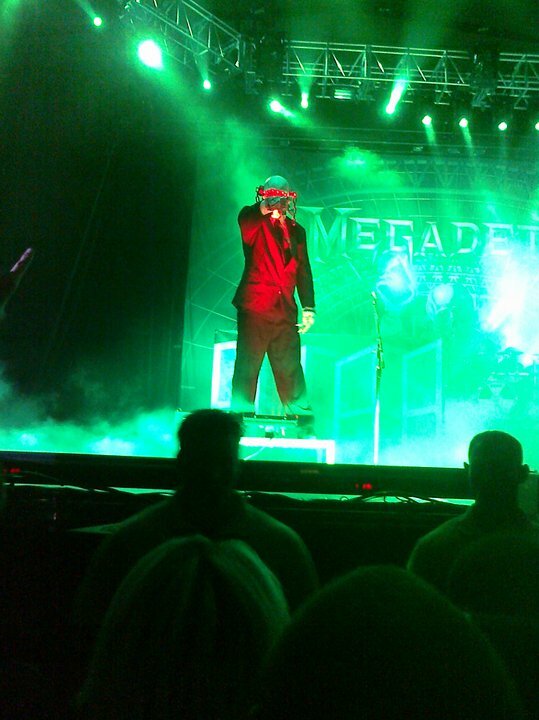 Jagermeister used the “special events” PR strategy by playing host to the audiences of some hard-core metal bands and fans. They sure sold the product like they aimed to! So I thought I’d contribute my bit of Harry Potter fanaticism since the series is getting so much hype lately due to The Deathly Hallows, Pt. 1 release on Nov. 19th. 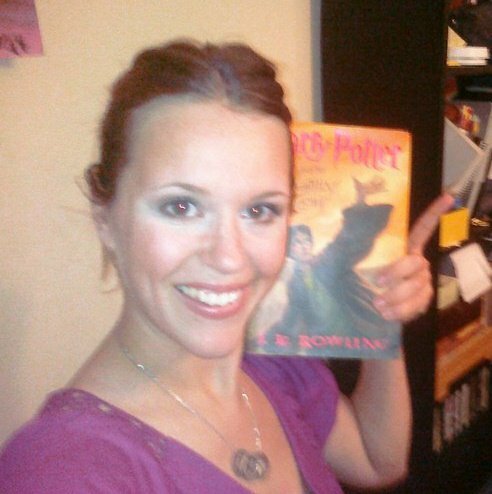 Joanna Kathleen Rowling published the first in the series of seven fiction books in 1997. The final book was published in 2007. As of 2008, the series has sold more than 400 million copies and has been translated into 67 languages. That’s up there with The Bible, to me! One of the first things I remember about an early interview with Rowling that I read is how she said that Harry Potter “walked right into her mind, fully formed.” The books contain so much detail that intertwines throughout the books. Her work reminds me of Tolkien; they both created different worlds with so many details that stay accurate throughout the series. The books get more complex and dramatic as Harry (and the readers) grow older. 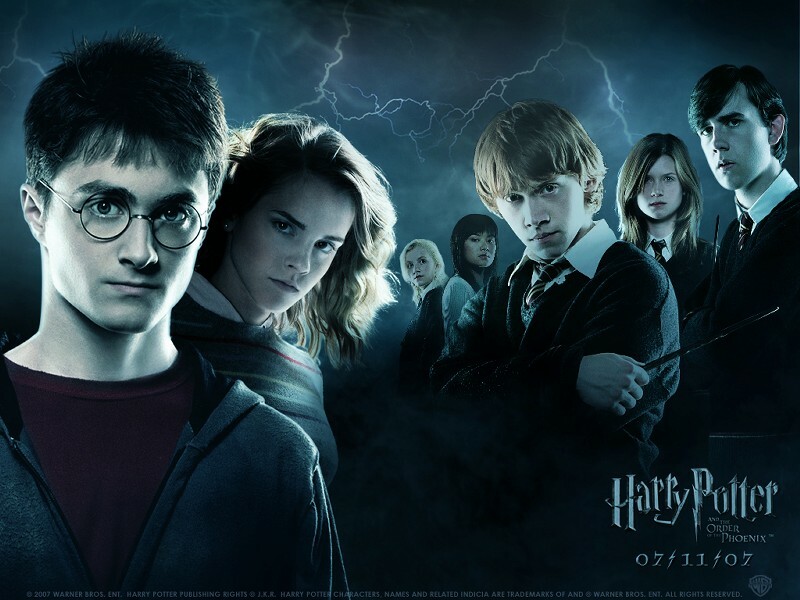 Some of the themes in the Harry Potter series are death, love, and prejudice. I also recognized how strong friendships are in the books. Harry’s parents are both dead (although their ghosts make appearances throughout the books) and several of the main and supporting characters die as a result of the dark wizard Voldemort. In the end of the series, Harry finds out that a part of Voldemort’s soul was left in him when he survived Voldemort’s killing curse as a baby. In the last book, Harry realizes he must die to overcome the part of Voldemort within himself. To me, this is Rowling saying that most of our battles are within ourselves. I ordered the last four books by mail and got to read them as soon as they came out. I have also been at the opening night of each movie as it came out. I even started a little quiz book of extra hard questions I made from the first book. Yes, I am a Potterhead. The messages in the books didn’t jump out me immediately when I was young, but imprinted themselves subliminally on my brain. I wanted to be a good friend like Ron, brave like Harry, wise like Dumbledore. I was old enough to understand death and mourning when I read the books. As I became older I made the connection of oppression in the books and opened my mind to equality in America. I started treating all people the same, with respect and with less criticism. I tried to learn to think on my feet faster and use my instincts to tell me my next move. Harry is the most selfless character in the series; I wanted to be more like him.